Renovating your home can be both exciting and stressful. While the thought of fixing anything that is outdated, and renovating the look and feel of your home is a lot of fun, actually doing the work or hiring someone to do the work for you, can quickly become frustrating, especially if this is your first time. Before you begin any home renovation project you want to read this, and make sure to avoid all of these nasty home renovation mistakes. All too often people decide it is time for a change in their home and they simply begin tackling the job without having a plan in place. When it comes to home renovations you cannot simply wing it. If you do you will quickly make mistakes, and will probably spend too much money. A well planned home renovation should include exactly what work you want done, who will do the work, and how long it will take. Renovating a home without having a budget in place is one of the biggest renovation mistakes people make. As your mother always said “money doesn’t grow on trees”. The cost to renovate a home can add up quickly. Before you begin, go over your list of what you want to work on and begin figuring out how much everything will cost, right down to the last nickel. From there, make decisions about what you can truly afford to work on and what you may have to leave for later. During the entire renovation project you want to make sure that you manage your budget well or you will be sorry in the end when there is more work than money. Incorrect measurements, even by a quarter of an inch, will cause you so much grief. Take the same measurements three times and write everything down. And always make sure you know how to measure. For example, if you are adding new window blinds to your living room windows, you need to know exactly which measurements of the window are required before you order your new blinds. Otherwise, if you order your new blinds and you made a mistake when measuring, and they do not fit, you cannot return them. The same goes for a granite countertop for your kitchen. Older homes often have outdated electrical systems which can be very expensive to upgrade. If you are doing a renovation, such as remodeling your kitchen for example, make sure that your electrical systems are up-to-date. And if they are not current, make sure to hire a licensed electrician to rewire your house properly. There is nothing worse than tearing a bathroom or kitchen apart only to find that the plumbing is old and rusted or cracked. If your home is older and your home renovation includes plumbing, again, make sure that you find out exactly what type of work needs to be done to bring your home up to code and how much it will cost. Those costs need to be included in your budget. Another one of the biggest home renovation mistakes that people make is hiring the wrong contractors to work with. Whether you are hiring an interior designer, general contractor, electrician, or a plumber, you always want to make sure you are working with licensed contractors. Fortunately, in the US you can do an online license search to verify if the person you are hiring is licensed. Before you hire anyone you want to meet them in person to see if they are a good fit for you and your project. You want to speak with a number of people that they have done work for and it is always good to ask if you can see their work in a few other homes. And never ever hire someone simply because they are the cheapest. I have a friend that hires the cheapest contractor every time she needs work done in her home, and every time she has been ripped off. Actually, the last guy took her money, showed up for work the first day, even left his tools in her home, but never came back to finish the project. 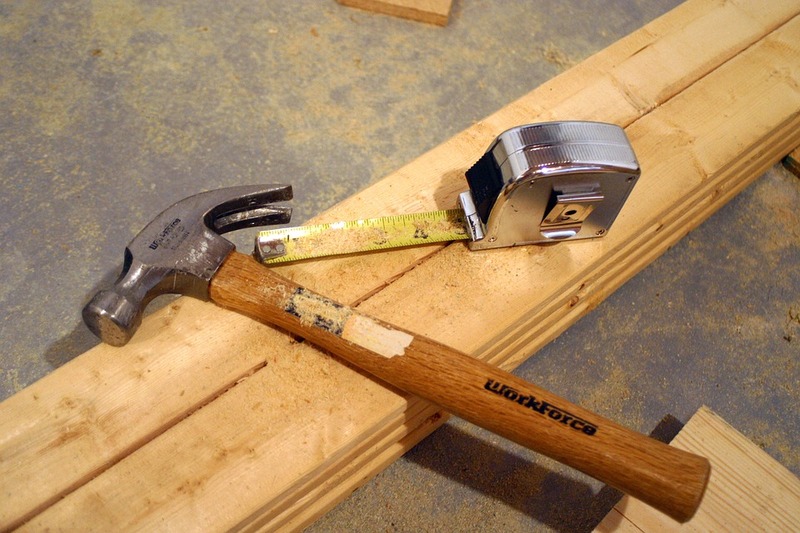 Some home renovation projects require permits and some do not. It is up to you to find out which ones do, and if you are doing any of those projects, make absolutely sure that you take out the proper permits. Neglecting permits can cause you grief if you ever have an issue that leads to an insurance claim. It can also be an issue when you sell your home. There is nothing wrong with trying to find the best deal of both materials and labor. But as you make decisions about products to use in your home renovation and people to work with, always choose the best quality first. As discussed, managing your budget well is extremely important for any project. But we all know that even the best home renovation projects will run into an issue at some point. When you create your budget make sure that you allocate a certain amount of cash towards your contingency fund so that you can rest easy if you run into a major issue. A general rule of thumb is anywhere from an additional 10 to 25% of the original cost of the entire project. You might choose to do your home renovations on your own or you might choose to hire professionals. Either way you still need to make sure you manage the project well from beginning to end. Never assume that things will just work out fine on their own. If you have professionals working on your renovation you still want to make sure that things are going according to plan and never be afraid to ask questions. Be extremely fussy when it comes to how the work is done and what the finished product looks like. Make sure everything is done 100% right. After all, you need to live there and you might want to sell one day too. If you have renovated your home at some point in your life you most likely fell victim to at least one of these nasty home renovation mistakes. Keep in mind that each time you work on a home renovation project you will learn new things and gain more experience, which will hopefully make your next renovation easier.